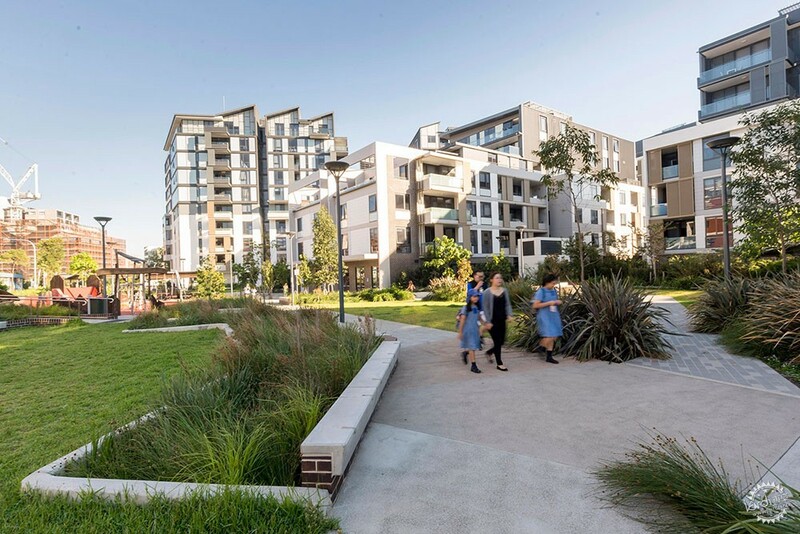 Arcadia Landscape Architecture: Located in Lewisham, one of Sydney’s oldest suburbs, the Hudson Street Park Precinct is a defining space in Lewisham. 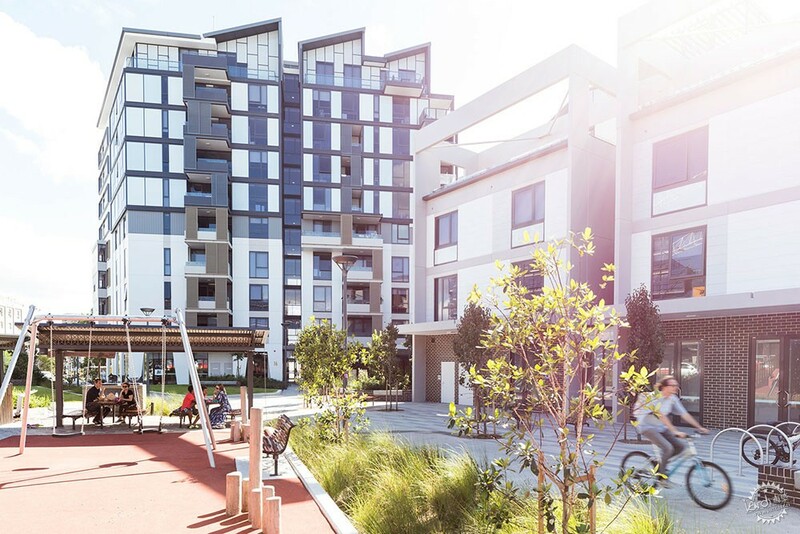 Hudson Street Park is surrounded by a diverse mixed-use development, Luna, which is strategically located adjacent to a major light-rail stop, creating a bustling and well-connected precinct. 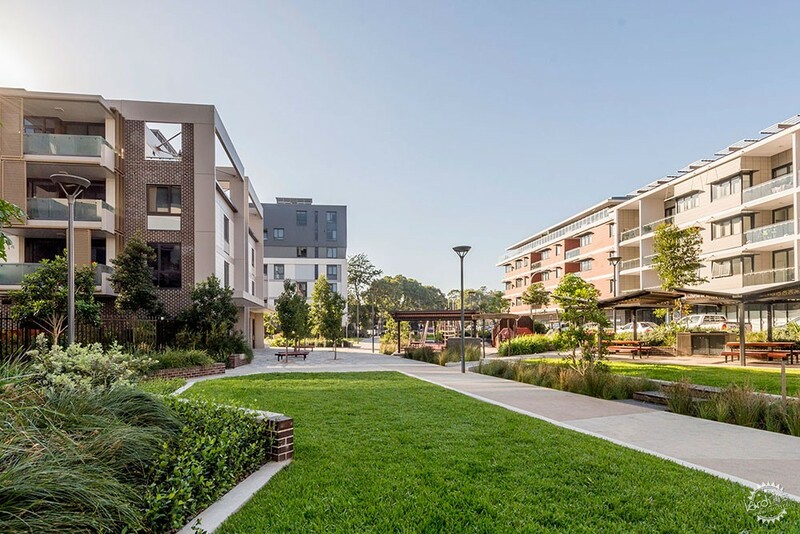 As Sydney experiences development at a scale and pace not seen before, it is important that small precincts are designed to maintain local character and history, so that people can find their place in this growing urban environment. 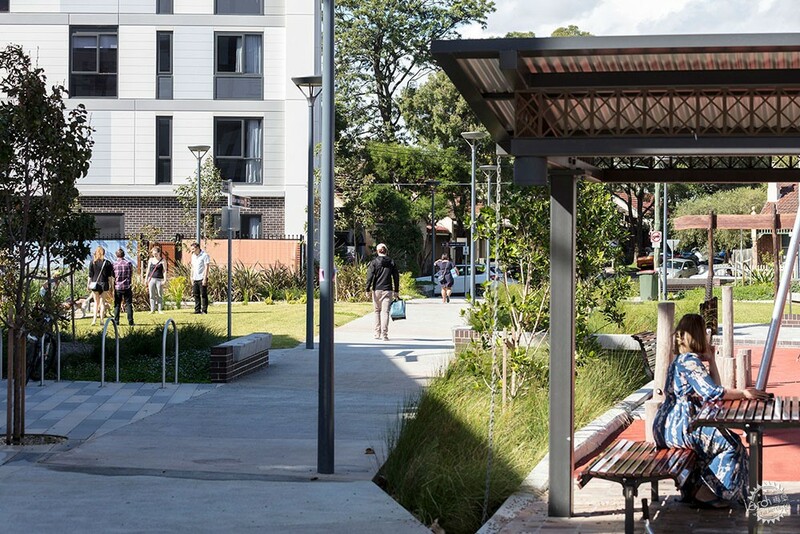 This vibrant space is a unique blend of old and new, celebrating the rich historical and cultural heritage of the site in a modern and innovative way, helping to fulfil the aim of the Inner West Council to transform a “former light industrial area into a desirable locality where people will want to live and spend time in”. 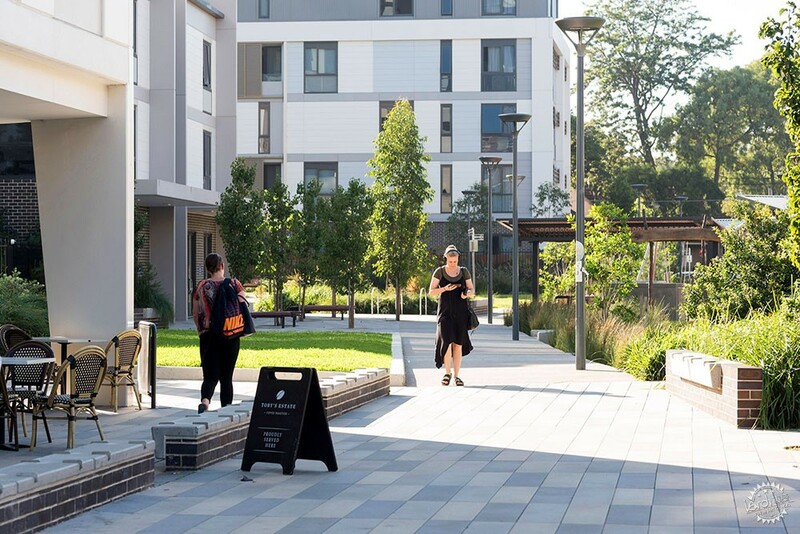 Arcadia recognised the opportunity for the park to act as a cultural reflection of Lewisham’s progressive community, a diverse place where the design provides an engaging, positive, healthy environment in which people commute, live, play, learn and exercise. Hudson Street Park is universally designed with the philosophy that environments and public domain experiences are innately accessible to as many people as possible. With many differentiating factors, including age, level of ability and cultural background, contributing to the diversity of the Lewisham community, Arcadia designed a park that could be used by all age groups and status – singles, families with young children, teenagers, young adults and older people. 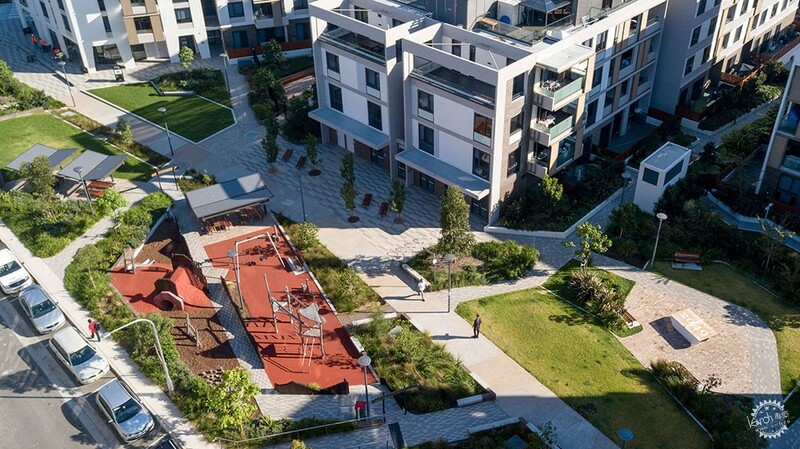 Healthy neighbourhoods and active open space stimulate economic activity. 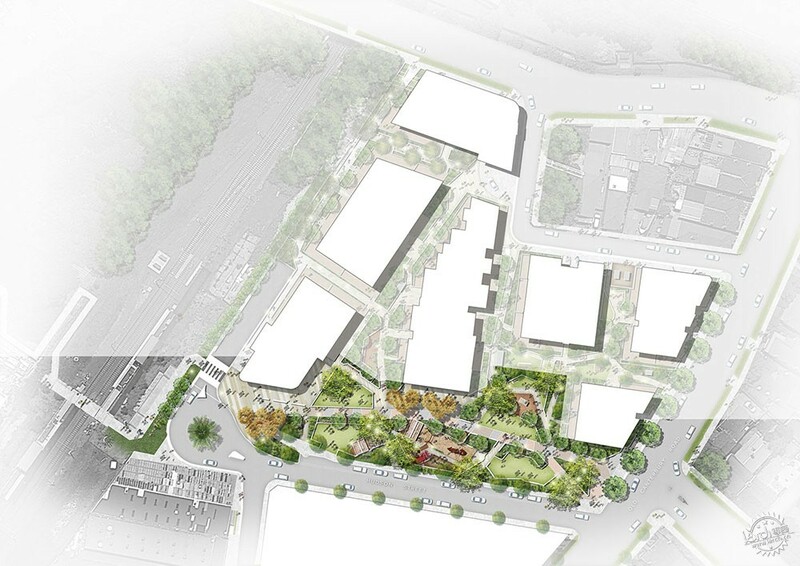 Arcadia’s design for the precinct accommodates initial and future retail investment as the area densifies. 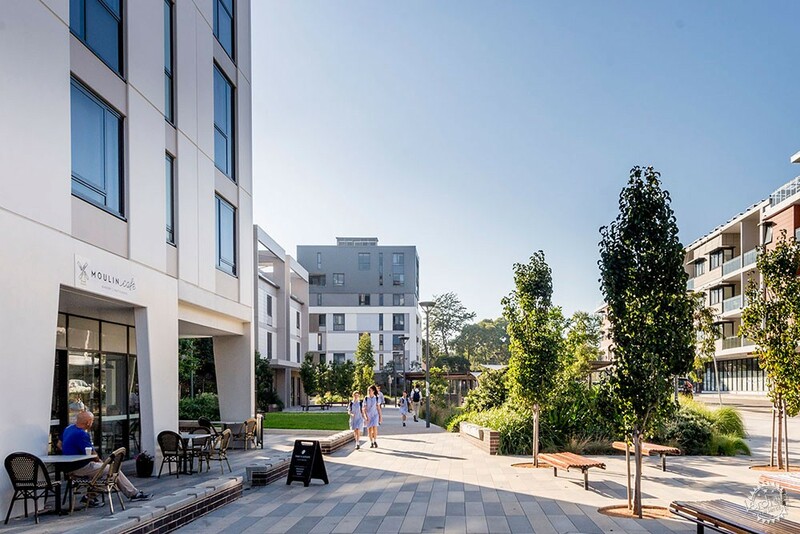 A café and general store have been included to activate the precinct and five public through-site links thread through the site, providing pedestrian amenity from the Lewisham Light Rail stop to the Lewisham Train Station and surrounding suburbs. The rich site history provided opportunities for interpretation, as historical narrative subconsciously and consciously informs users of the historical nature of the community. Bespoke elements have been included, such as the shade canopies which reflect the establishment of the Lewisham Whipple Truss Bridge, and the table tennis design which is a celebration of Lewisham’s identity with a contemporary design featuring the postcode – 2049. 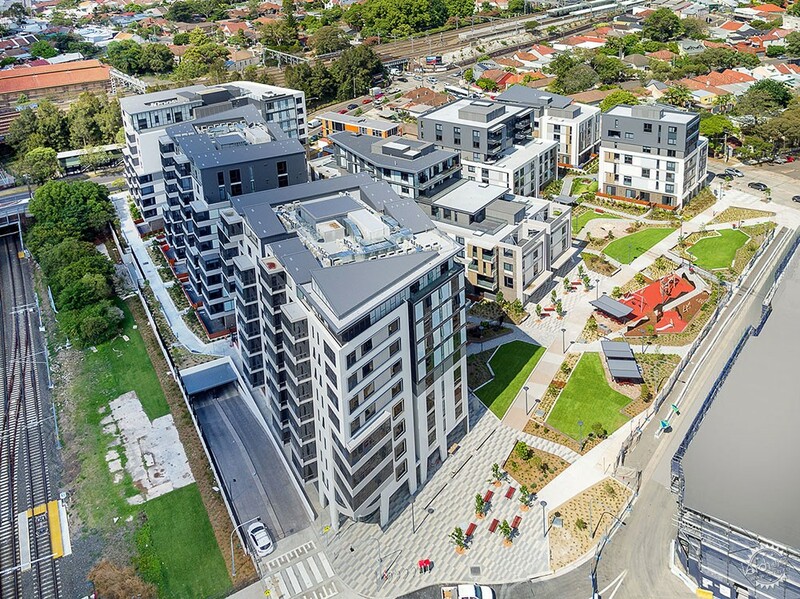 The site falls in a low point for the surrounding area and often floods, so Arcadia worked closely with Enstruct to integrate a drainage and WSUD strategy. A series of raingardens and infiltration basins are positioned throughout the public park, capturing, filtering and re-using water run-off to irrigate the grass and trees on site. The rainwater gardens express the process of stormwater treatment in an aesthetic framework, highlighting an important ecological process in a visually pleasing and engaging way. Local endemic plants have created lush native planting and have been used throughout the site to establish strong links to the site’s original ecological community. The planting strategy has resulted in rich habitats for local endangered fauna species, including the Long-Nosed Bandicoot and various Bat species. This new public place is utilised to encourage social engagement and interaction, strengthening the sites identity and character, sense of community and pride in ownership. Hudson Street Park has been a success with both the new and existing residents of Lewisham embracing the facilities. 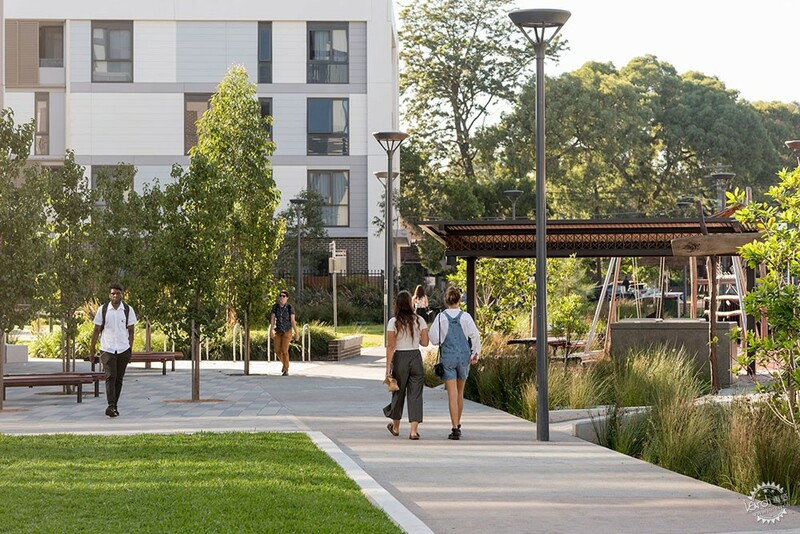 Hudson Street Park adds to the quality of life, not just for the adjoining residents, but for the wider Lewisham neighbourhood and community. The park allows for greater connectivity and equitable access supporting the existing and future residents.